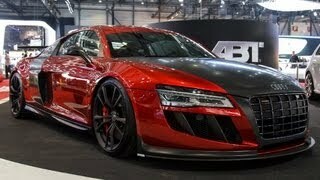 Audi tuner specialist from Germany, ABT Sportsline have released the ABT R8 GTR at the 2013 Geneva Motor Show. Based on the pre-facelift R8 V10 model, this complete aerodynamic package offers extra power and improved handling. Perfect down to even the last detail inside, the R8 GTR is a real sports car whose design and technology form a powerful unit. 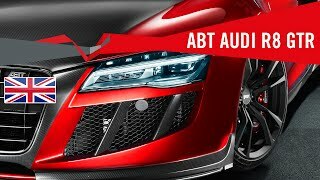 The ABT R8 GTR is powered by the V10 engine producing an impressive 620 hp. It accelerates from a 0-100 km/h in just 3.2 seconds and 9.9 seconds to reach 200 km/h. It has a top speed of 325 km/h.